A separate hardcover book, expanding upon the campaign setting of Aquilae, the Realm in which the Dark Obelisk Adventure Path takes place. Dozens of random encounters, dozens of monsters (including several brand-new ones), items, spells, quests, villages, and of course richly-detailed NPCs. In addition, the WRG will go into more depth with the numerous Factions of the Realm, expanding the descriptions originally found in Dark Obelisk 1 and adding several more too. 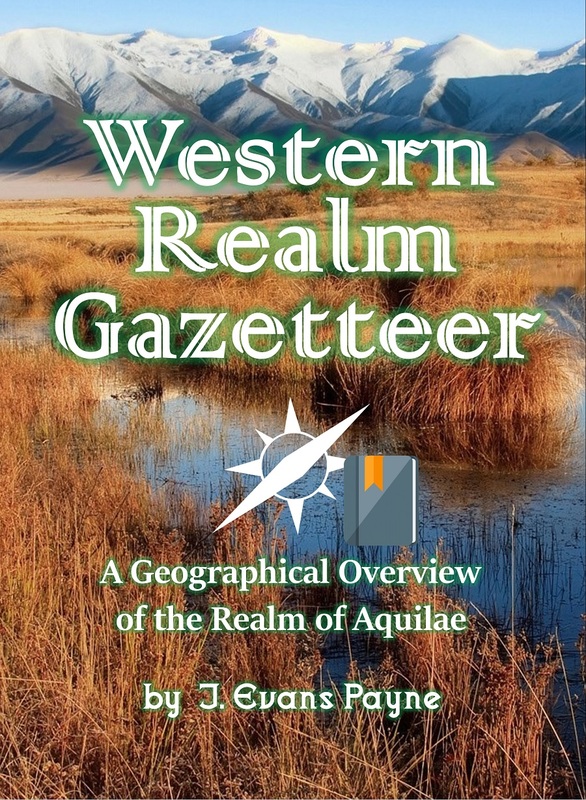 Perfect as a companion to the Dark Obelisk adventure path; usable on its own to start your adventures in the campaign setting of Aquilae; or helpful merely as a treasure trove of ideas, inspirations, and "drop-ins"; this book will be an asset to any GM.